Ahead of their highly anticipated second album Langata, electronic dance trio Crooked Colours have released another cut from the record, Hold On, out now. The simmering track follows previous hit singles I’ll Be There and Do It Like You, and is another piece of the enigmatic puzzle that is Langata. The trio, consisting of members Philip Slabber, Leon De Baughn and Liam Merrett-Park, have revealed that the album will be out on May 17, with preorders available now. The group have also announced the tracklist for the record, available below. Tickets to the upcoming Langata national tour are moving quickly, with a second Melbourne show being announced for May 26 after the first sold out within days, and shows added for Canberra, Wollongong and Newcastle. 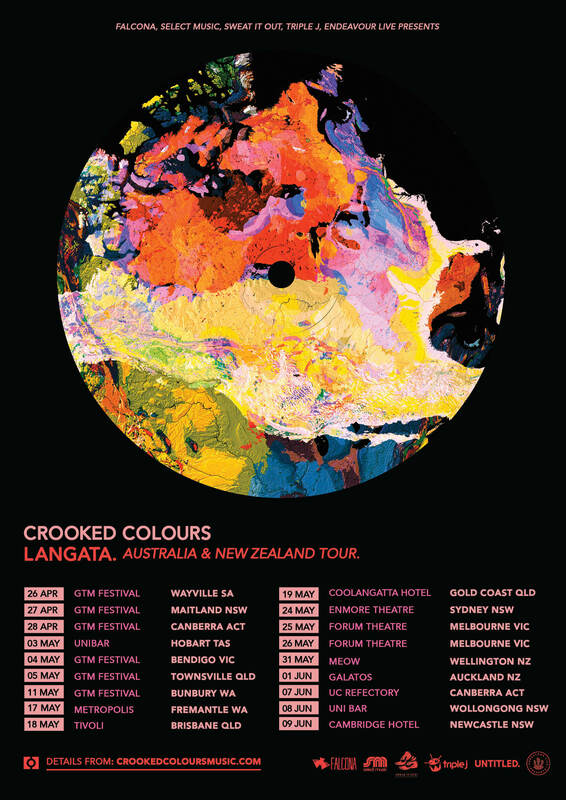 Joining Crooked Colours on the headline dates will be fellow triple j faves Nyxen and Kayex. Crooked Colours have established themselves as one of the hottest rising acts with the debut Vera. Now they are on track to become one of our biggest electronic exports with this superb sophomore release.